This denim jacket is at the top of our must have list rn! 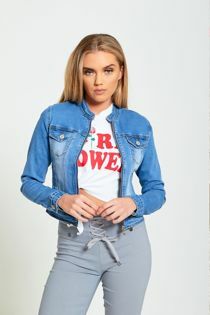 Coming in an light wash denim, zip up front and no collar detailing, this jacket is perfect for the new season. Team over a cute dress and sandals for a killa finish.